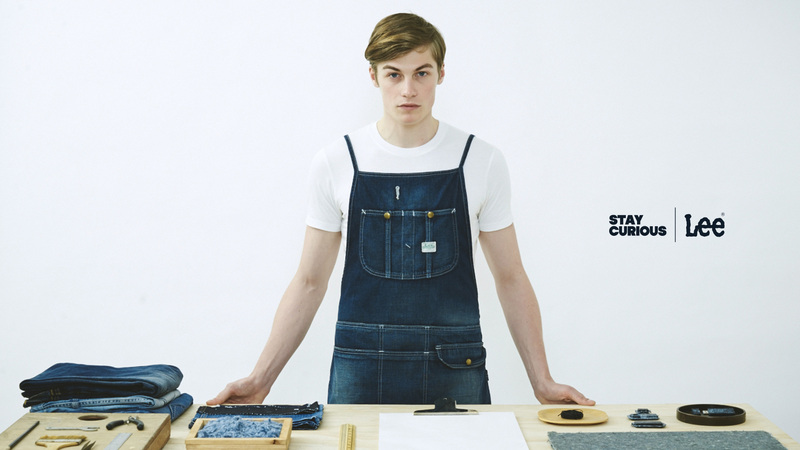 As part of the Refresh the City campaign for Lee Jeans we also created our very own product, Denimite. Working with Iris Industries in America who had developed the world’s first construction material made out of upcycled denim and bio-glue we created assorted accessories using the material in fashionable creations. LEE JEANS x DENIMITE Using Denimite we wanted to create a product that was beyond fashion. 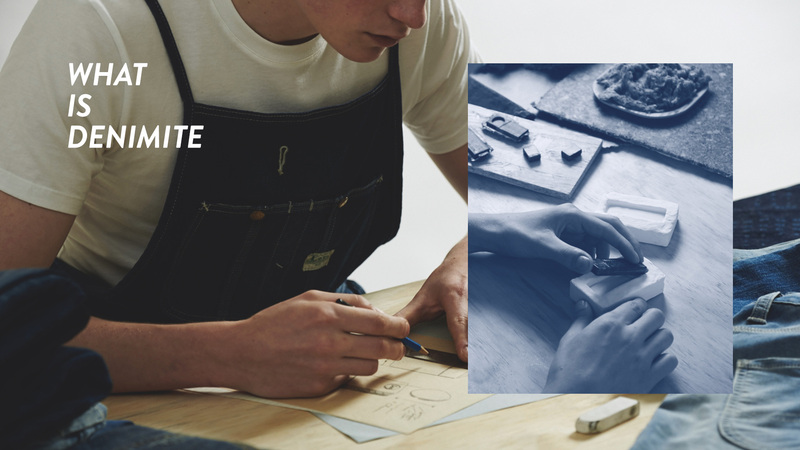 A relevant device that would inspire others to share ideas just as Denimite inspired us. 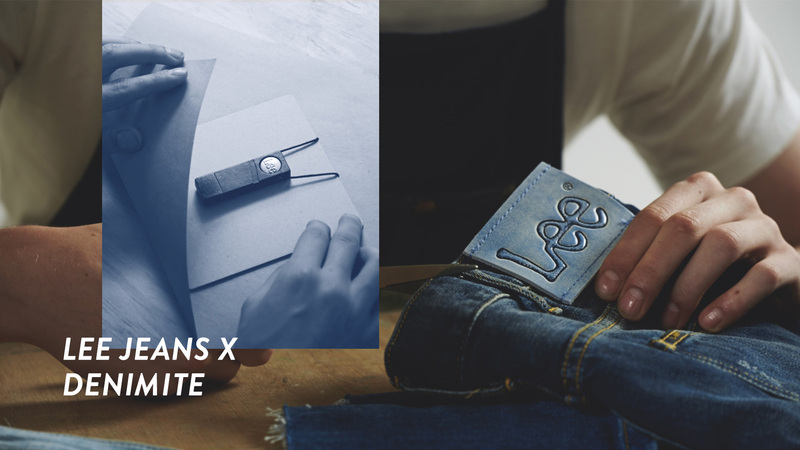 The limited edition Lee Jeans USB is crafted from a solid block of Denimite polished to size. The final detail is the iconic Lee Jeans button which serves to remind its owner that this is denim re-born. WHAT IS DENIMITE Denimite is the first VOC-free, compression-molded material made from recycled, post-consumer blue jeans. One of the most beautiful details about used-denim is the unique way it wears and is reflected in the pattern of every piece of Denimite. 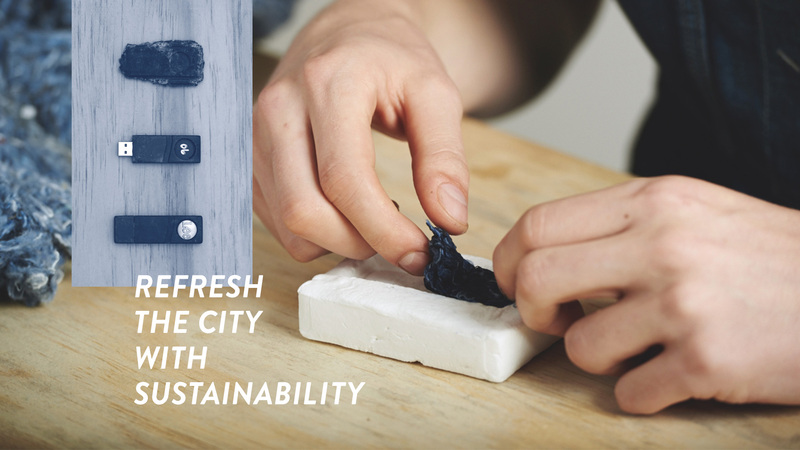 REFRESH THE CITY WITH SUSTAINABILITY Every wear and tear on a pair of Lee Jeans tells a story about its owner. Though no matter how romantic the journey is told, a pair of jeans die sooner or later. In order to ‘Refresh the City’ we looked towards our own denim collection, hoping to find a way to breathe life back into jeans that have served past its time.